Bay Realty, Inc. - 177 Acres of Land on Beaver Lake! 177 Acres of natural Ozark beauty and freedom! Large acreages with lake frontage do not come up for sale very often! 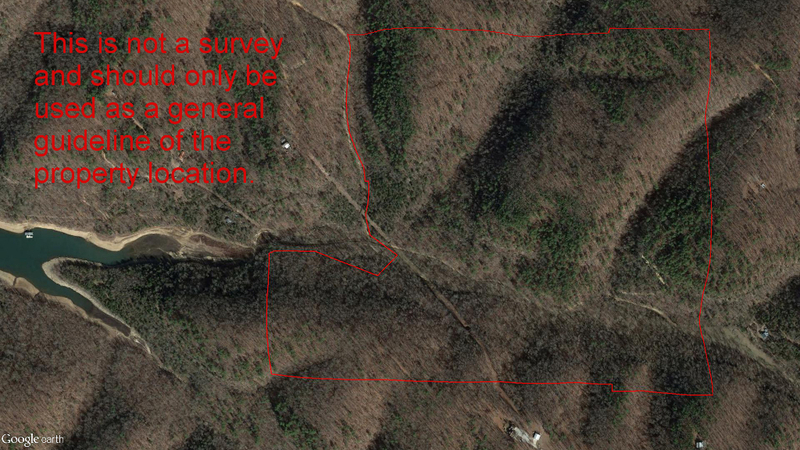 This property would be ideal for a very private home, cabin, lodge, or as recreational property. These gorgeous ridge tops, valleys, creeks, boulders and trees are a wonderful place to hike, hunt, and explore! Several county roads access this property and electricity is on site. Roughly a quarter mile of Corps of Engineers take-line and a county road give access to Beaver Lake! This land could also be subdivided as there are several ridge tops with nice building sites. Directions: From Eureka Springs: Take 62 west to left onto 187 at the RiverLake gas station. 187 to left onto County Road 116. Follow CR 116 to left onto CR 1165/139. CR 1165/139 runs near the west boundary of the property as the road heads downhill. At the bottom of the hill, turn left. The land is on both sides of CR 139 as it runs along the bottom of the valley.